Will you help me show him he's not alone? 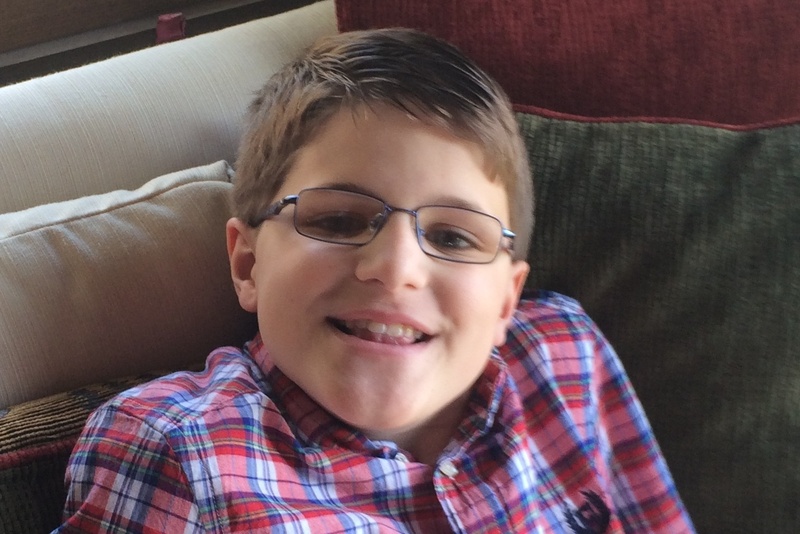 Lately I’ve been really curious about what autism means to my 10-year old son, Jack. I mean, I know he knows he has it. And we know he hates it. But what does it mean to him, exactly? So I had to go underground with my investigation, if you will. I had to resort to strictly observing him, examining and noting his reaction in certain situations and circumstances. And as best as I can understand, Jack thinks autism means you earn things. Let me give you an example. Last week I had to bring Jack for his eye appointment, which is another post entirely and someday I’ll tell you all about it when I’ve fully recovered from the trauma of listening to Katy Perry for the whole ride and pupil dilation and that man’s shirt looks dirty. The appointment was at 12:45. We needed an hour and fifteen minutes to get there on time, which meant we needed to leave by 11:30 am. This left me plenty of time to take a 9:00 Crossfit class, go home, shower, and pick Jack up from karate camp. There was just one minor autism-related snafu: Jack remembered that the last time we went to his pediatric ophthalmologist appointment in Boston—on Tuesday, December 10th at 10:30 am and the doctor wore a black dress and we were in the exam room with light blue walls, to be exact—he stayed home from school all day. And so now he wanted to stay home from karate camp, too. This did not parse well with my plans for working out. But see, I have experience with this kind of thing. I know what I’m doing. I’ve read all the books and done all the research about child rearing and autism and parenting, and so I did what every good mother would do in this situation. I reached for the bribe. “Uh, whichever one you want,” I told him, making a mental note to myself to limit his time on Amazon. You see? He has somehow gotten the idea that having autism means you have to earn things. It should be fun trying to convince him to get a job someday. When we first started talking to Jack about his autism, we tried to explain it in terms he could understand. We told him his mind works differently and sometimes his body moves because of something called self stimulation. We kind of skipped over that one. Then one day last spring he came off the bus and said, “I am the only one. In my class with autism.” And that afternoon, it dawned on me: he feels alone in the spectrum world. “Henry. Henry has autism,” he announced one afternoon. We’d just finished picking blueberries, and I looked over at my five-year old—who was trying to see if one of the round ripe fruit would fit in his nostril—and back at Jack. What do I say? Of course I know other kids who have it, adults even. But it is not my place to open that dialogue. So instead, I try to point out autism’s more savory qualities; his memory and his kindness, his determination and his progress. But it does little to abate the obvious loneliness, the isolation of being the only one in his family, in his class, maybe in the universe diagnosed with spectrum disorder. “Jack you are a brilliant unicorn amongst us ordinary horses. You are so beautiful! We know there are tons of you out there—bajillions, even—but we don’t know how to show you. We don’t know where they all are. All summer Jack’s been telling me he wants his autism to stay a secret when he starts fifth grade in the fall. He wants to keep it from the teachers and principal and students in middle school. As of yet, I have not had the heart—or the courage—to tell him they already know, that something called an IEP and paraprofessionals and a modified course load have been in the works for a while now. I never had a concrete plan or vision when I started writing this blog. Mostly I did it because my publisher insisted I start one to promote the book. But it’s been over two years now, and looking back I guess I also did it so I would feel less alone. From the safety of my little office I could share my heartache and make my jokes and connect through cyberspace with other people like me who are also balancing autism and parenthood and play dough and swimming lessons. And if there was a smidgen of autism awareness to the whole thing, well, that was just a bonus. But ultimately, I have failed. I have failed because, while I feel connected to a wider community of people, the boy sitting in the room next to me—the boy with autism—feels confused and scared and ashamed. More than that, he wants to hide something that is as fundamental and essential to him as his beating heart or his thinking brain or the freckle on his right forearm. He wants to keep autism a secret. I wish to somehow show him that there are, in fact, a bajillion more people like him in this world. That there are boys and girls and fathers and daughters who cover their ears during fireworks and squint against fluorescent lighting’s blinding glare. People who have IEP’s and aides in the classroom and battle anxiety’s fierce snake. I want to show him that many of those same people play beautiful music and have jobs to earn money and love to go to the movies and always eat ice cream after dinner. They are, in essence, just like him. And so readers, I was hoping you would help me show my son he’s not alone. I was hoping I could call on my own community in order to expand Jack’s solitary world. Would you click here to go to my Facebook page, and add the name of someone you know with autism in the comment section below this post? Share as much or as little as you like. Share the name and age and of your son or daughter or neighbor or student or brother or maybe even yourself. Share a picture if you feel comfortable. Tell us where you live if you like, or add a little something that makes this person special. I can’t wait to see what a bajillion looks like. I’ll even go first. My son Jack has autism. He is ten. He is as magical as a unicorn. My son Caleb has Autism. He is also ten and about to begin 5th grade at a school in Connecticut. We live in MA, on the CT border. He is curious, brilliant, active, anxious and the brightest sparkle of light in our household. Hi Jack! My name is Destinee, and I don’t have autism, but I’ll tell you a secret: my amazing younger brother Phillip and my awesome oldest son Kyle both do. Phillip is 23. He just got his very first job! Kyle just turned 4 years old on Saturday, and found out today that he needs glasses. He really likes yours. We all live in Florida, so I don’t think we’re anywhere near you, but maybe you could tell us a little bit about how you handle life with autism? I sure would love to have some advice from you for Kyle when he’s older! I read your story which was sent to me by Cheryl Snyder- I have a son Vincent who is 14 and has autism — everything you write about your son is a carbon copy of what I feel and see about my son. Vinny recently asked me how many people have autism and I told him “millions of people but you have to remember that you are one of a kind” I remember reading the short story” Welcome to Holland” by Emily Kingsley before my son was born and I think I was meant to read and remember the name because a few years later it would help me understand and tell people what it is like to have a child with special needs. I am a very athletic person and like most fathers looked forward to teaching and playing sports with my son which I can not do– but what I can do is embrace the brilliant mind that my son has, his sense of humor, his kindness and his willingness to love — my job in life is to make sure Vinny can live the best life possible. He is my best friend and I experience highs and lows– Vincent has a pure mind and wants to be loved and accepted like us all –he has a high tolerance for pain and a lot can brush off him but two things Vinny hates are dogs barking and when people do not say hello back and acknowledge him. I too could write a book on my son and could go on and on but — most important is that your son is not alone. Thank you, Paul, for your heartfelt comment. I may use an excerpt in this week’s post if you don’t mind. Your son Vinny is a lucky guy! My son, Aidan, has Aspergers and my daughter, Mary Kate, also has Aspergers. Mary Kate just turned 25 yesterday. Aidan will turn 15 in August. A friend’s son Andrew (Drew) has Asperger’s. Drew was our first experience with the spectrum disorder. He is now a mostly self-sufficient adult. He is not completely self sufficient because he believes that he can live off of the money from his father’s estate and doesn’t need to really work – a misconception that he is rapidly coming to terms with. He attended special classes and even special schools. He is a sports addict and can quote Giants and Devils stats to make you crazy! Drew, for as long as I’ve know him, has always been obsessed with Pokemon and a lot of his socialization is around card swaps. His main difficulty is understanding emotions. When his father divorced his mother, and then remarried – he finally started to see true love and affection and it made a difference in the way he interacts with people. My ex-boss’s son also has autism. Jake is 12. He is brilliant, and loves science. He’s also quiet but that may be because he has 4 sisters. Jake loves to read, and build things. Out of 35 people in my office three other co-workers have children on the spectrum. 4 out of 35. All boys. Please tell Jack that everybody has something (see Robin Robert’s book). Mine is breast cancer and thyroid disease – both of which require medication and regular monitoring. My daughters both have allergies and asthma. My husband wears a hearing aid. Everybody has something. Maybe not autism, but something. Knowing this won’t satisfy Jack’s need to keep his “secret” but it might help him accept it. I have two grandsons – a toddler and a newborn. I love your blog and wait for your posts, and not just because you write about autism, but because you have 5 kids, and are handling what life throws at you with humor and grace. Please keep doing what you do. My son Will has autism and he felt the same way you do about autism when he was 11. People knew and they helped him. So he graduated from high school and then college. Now he is 26, he has his own apartment, and works for the biggest computer company in the world. He also has two cats. One is named Ninja. She is a very large black angora. His other cat is named Grant. Grant has a heart condition and Will hides his medicine in smelly soft catfood. Will is good at remembering this because loves Grant. Will is ordinary in a lot of ways. My little guy Jasper is 5 years old & has autism. He is not very verbal, but works very hard at his ABA center 40 hours a week. He us sweet, beautiful, loves movies, lately obsessed with our dog & loves being outside & jumping on the trampoline. Today we discovered he has his first loose tooth, so of course I’m freaking out about how he will handle that, and just a little heartbroken that my little boy is growing up! Hi Jack, I have lots of friends who are autistic. I like the things that make them different because no one is perfect. You know what’s special about having friends with autism? They actually listen to you when you talk. They remember things that are important to you and remind you of them so that you don’t forget the little things. I have learned to listen more and pay attention to details because of someone just like you. I guess in many way I am inspired to be a better person because of it. I could even say I’m a little autistic too and that’s a GREAT thing! My boss has a son called Kallum who is ten and has autism. They live in Southampton, England. Kallum is a very special boy and his mum loves him very much. My son Logan has autism. He is 11. He loves to play minecraft and angry birds. He loves to create movies and has his own youtube channel. Hello Jack. I’m DJ Wilde and I have autism as does my 12 year old son, Denver. I am a published author and artist. I make super heroes. You are welcome to see them on my Facebook page called Galaxy Zento. But I want you to know something, Jack. Autism does not have to stop you from doing wonderful things in your life. For that matter, sometimes, autism is a super power. It lets you see sides of life that normal people cannot see. Wednesday is orange and it is your special gift to see that. One of the things I do, is help people understand autism. Perhaps, one day, you can do that too. Perhaps you will do something even more special. If your Mom would like help in sources to explain autism to you, she may contact me. Be blessed and well, Jack. You are an awesome person. I like what Thewildeman2 said – autism is a superpower – allowing us to do things “regular” people never will be able to do. My name is TR Kelley, I’m an old kid of 53 and i am autistic. I have perfect pitch and music superpowers! Though I’m not super famous, I have been in a lot of bands as a bass player made records, played large festivals and been on the radio. My music is on iTunes! I need help in everyday life though, because sometimes superpowers means some of the oddest regular powers are taken away. I am very disorganized and sometimes forget to eat or shower if i am busy on a project. I like trains, science, living out in the woods and taking care of cats and chickens. I’m really nervous when things change and my routines are broken. I have a memory like yours too Jack! Being an autistic person has never been easy, but that’s the journey for everyone. Everyone has challenges. Sometimes “regular” people are disabled by being social. They may go along with the crowd even when they know something is wrong because they are not able to think alone, the herd urge is that strong. Crippling even. Knowing you’re made this way for a reason (we can do things other people CAN’T!) will let you learn your superpowers and how to use them for good, and to learn how to interact with other people who are not part of Planet Autism. We don’t have to be like them, but we should learn to speak their language and customs when we necessary. Have a good journey! Hi Jack, my beautiful daughter has autism, she is 11 years old, in 6th grade. We live in a very small community in Canada. Kendal goes to a small school, about 70% of the student body has some degree of autism. Hello Jack. I also have a son called Jack and he has autism. He wears glasses as well. He loves Pokemon, Spongebob and Kirby. He likes Lego but doesn’t play with his models, just likes me to build them. He loves to watch YouTube gaming videos and play his 2DS. My older son Andrew has Aspergers and he is 18. He loves music and likes to sing and play computer games. I have Aspergers as well but I didn’t know until I was grown up and had my own children. Autism can be a pain sometimes but I also think it has lots of good points. It helps me too be good at my job as it is full of facts and information and it makes me want to learn new things. Jack, you are not alone. Someone is on your side; no one is alone. I am autistic and I like quotes, song lyrics, Minecraft, reading about the four (or five) temperaments and I have my own blog. I also play the flute. Remember to voice your concerns (easier said than done) and tell yourself that you can do this. My YouTube channel is FlutistPride if you want to see me play the flute. (The videos from three years ago are not a reflection of my current skill as they are from when I just started.) Make sure that you have breaks from earning things. The phrase “You earned it” might be trite and even a slap to the face for the unknown effort you put into things.